You'll be £8.00 closer to your next £10.00 credit when you purchase The Life of Henrietta Anne. What's this? Henrietta Anne Stuart, youngest child of Charles I and Henrietta Maria, was born in June 1644 in the besieged city of Exeter at the very height of the English Civil War. The hostilities had separated her parents and her mother was on the run from Parliamentary forces when she gave birth with only a few attendants on hand to give her support. Within just a few days she was on her way to the coast for a moonlit escape to her native France, leaving her infant daughter in the hands of trusted supporters. A few years later Henrietta Anne would herself be whisked, disguised as a boy, out of the country and reunited with her mother in France, where she remained for the rest of her life. Henrietta’s fortunes dramatically changed for the better when her brother Charles II was restored to the throne in 1660. After being snubbed by her cousin Louis XIV, she would eventually marry his younger brother Philippe, Duc d’Orléans and quickly become one of the luminaries of the French court, although there was a dark side to her rise to power and popularity when she became embroiled in love affairs with her brother in law Louis and her husband’s former lover, the dashing Comte de Guiche, giving rise to several scandals and rumours about the true parentage of her three children. However, Henrietta Anne was much more than just a mere court butterfly, she also possessed considerable intelligence, wit and political acumen, which led to her being entrusted in 1670 with the delicate negotiations for the Secret Treaty between her brother Charles II and cousin Louis XIV, which ensured England’s support of France in their war against the Dutch. ★★★★★ I was extremely impressed with this book and the work that was done by Melanie. This biography had everything in it that I could possibly wish for, so much so I didn’t want it to end. It is very clear to see that Henrietta Anne is much underrated and such an extraordinary woman. 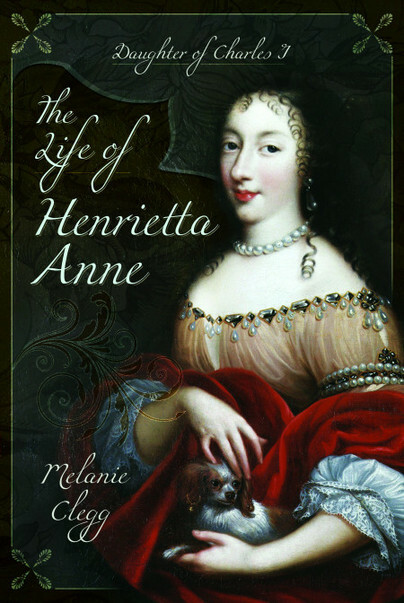 I highly recommend The Life of Henrietta Anne: Daughter of Charles I by Melanie Clegg to anyone who is interested in this period of history or would like to learn more about an extraordinary woman within history.